Earwigs have been a cosmopolitan pest for many years in the United States. There are over ten species in America, but four are most common and the species likely to invade homes. These include the European, the Shore, the Ring Legged and the Seaside Earwig. Some of these have wings, some have stripes on their abdomens, some are dark brown, but all have pincers. Earwigs are both plant and insect eaters. In fact, they will eat just about anything. Earwigs love plants. And in particular, vegetables. When they feed, their damage will be consistent and significant. Plant damage looks like slug damage; the main difference is that slugs will leave a slimy trail behind where earwigs leave no foot prints. Plant damage can be extreme. Although its most common to find small irregular holes, earwigs will readily eat all of the “meat” of a leaf starting at one edge and essentially devouring it row by row like a caterpillar. Earwigs will feed as predatory insects but will also eat dead insects, algae and vegetation. Since they eat so many different food items, earwigs may find a home and food just about anywhere. It is not unlikely to find them around any type of structure too. However, unlike ants or termites, earwigs will readily establish themselves in the roof, the attic, the basement or the crawlspace. Although some species can fly, most find there way into homes by walking up the side of untreated exteriors. Once established in the mulch beds and flower beds around your home, earwigs will soon find their way inside. Earwigs are active year round. They’re super hardy and can do well even in the cold. Although they may find shelter under rocks and other ground cover during winter months, only freezing temperatures and ice seem to stop them from daily foraging and activity. Earwig eggs are usually laid in the late fall/early winter. Females will lay 30-50 and generally have one brood a year. However, in warmer climates, she may have two. The eggs will hatch in about 2-3 months and the first instar of development will spend much of it’s time feeding on the food mother brings home. Within a month, the first instar will enter it’s second stage of development which is when they become a lot more venturesome. By early summer, they will be fully mature and ready to migrate away to neighboring plants looking for new nest sites. This is usually around June, July and August. Although the summer months are when you most likely may see invading earwigs, it is important to understand they may be active year round. If you are seeing them in living areas of the home during cold winter months, it is because they have established themselves inside. Since they can eat just about anything, earwigs can successfully nest in sections of the home which may be warm the whole year. Old wives tales tell of earwigs finding there way into the ears of sleeping people only to cause fever and insanity. Such tales are far fetched but earwigs have been found to crawl into any vacant cavity they can find. They love small holes, cracks and crevices. Such invasions won’t lead to insanity, but their pinchers will hurt when they grip you and it is more likely they will find their way into your shoes than your ear! 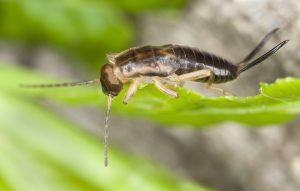 Earwigs typically become a “noticeable pest” when they start to invade. Homeowners will find them in basements, garages, Jacuzzi’s, bathrooms and just about any part of the home. Earwigs like it moist and prefer dark areas. Basements and crawl spaces provide great nest locations, but because people store many boxes and other items in these environments, earwigs find their way into homes by hitching a ride on items we bring inside. Once in the home, earwigs will take advantage of any object which is set on the ground. Such locations are prime nest sites and slab homes seem to be particularly vulnerable. Since the slab will readily absorb moisture, earwigs are able to nest under carpet and find food by emerging and foraging as needed. When treating for earwigs, the best approach is to protect all areas both inside and outside the structure. Outside areas earwigs will target include foundation walls, other points of entry like windows and doors and around AC condensers. In the home they’ll gravitate to baseboards, cabinets, under area rugs, basements and crawlspaces. To control an active problem in the home, you’ll generally want to spray all areas with activity using a liquid residual and crack and crevice aerosol. So for the baseboards, FENVASTAR mixed at the rate of 1/2 to 1 oz per gallon of water per 1,000 sq/ft will usually solve most any problem. Be sure to coat all baseboards, under furniture and along every edge of carpet. Pay particular attention to the bottom side of place mats and area rugs as well as the space under refrigerators and dish washers. 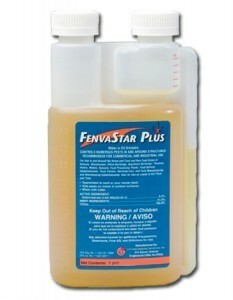 Fenvastar is low odor, fast acting and works great on earwigs. In most cases a single application will knock them out and if you spray every 2-3 months, they won’t come back. You’ll need a good PUMP SPRAYER to apply Fenvastar and you’ll want to treat the entire inside and outside perimeter of the home. Pay particular attention to the outside foundation and entry points. Treat around windows, doorways, garages, crawl space entrances, pipe entrances, vents, AC areas and water spigots. If you have areas where you can’t liquid spray, use FS MP AEROSOL. This product comes with a small straw like tube injector so you can make precise applications without making a mess. 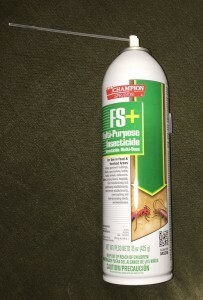 FS MP uses the same active as Fenvastar so it too is very active on earwigs. It will kill them quickly and treatments will last several weeks. 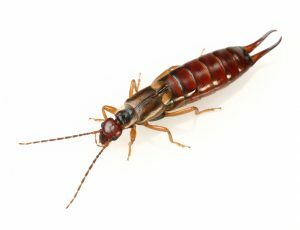 For sensitive areas or if you have places where earwigs are ever persistent and you need some extra help knocking them out, place EARWIG GLUE TRAPS on countertops or along baseboards where they’ve been seen. Since earwigs love to eat dead insects (especially roaches), they’ll readily find these traps which use insect pheromones as lure. Once earwigs enter, they cannot escape. These traps are designed to be separated into 3 smaller traps making them an ideal size for earwigs. Each “set” comes with 15 large traps (45 small traps) along with a bag of “lure pellets” used by sprinkling them out over the glue of the trap. Next, set the trap out and let it sit to collect foraging earwigs. For vegetable gardens, the selection of good products narrows but we have two good choices. VEGETABLES PLUS is a permethrin concentrate labeled for use on fruit and vegetable bearing plants. It will both kill and repel earwigs so they won’t be able to eat treated foliage. Veg Plus has 7-14 days to harvest and treatments will last at least that long too. Add 1/4 to 1/2 oz per gallon of water and plan on getting 500 sq/ft of coverage of plant foliage per mixed gallon of spray. For organic gardeners, MULTIPURPOSE INSECT KILLER is a good choice. This concentrate has just 1 day to harvest but its plenty strong to handle strong pests like earwigs. Be sure to spray the main stem of the plants you want to protect along with the ground of the garden. Earwigs will typically nest in the ground just under plants they target. So if you’re finding damage to the leaves on your favorite garden vegetable, spray the plant and the surrounding area heavy to ensure you get the guilty pest. Mix 6 oz of Multipurpose Killer with 1 gallon of water and expect to get 500-800 sq/ft of coverage per gallon. Repeat every 2 weeks to keep target pests under control. 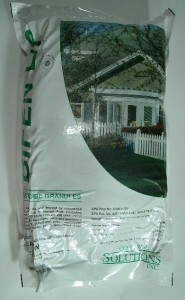 For bad infestations distributed over the yard, we recommend applying BIFEN GRANULES to as much of the turf as possible. Bifen G won’t work quickly like Fenvastar but its more time released and generally lasts a log longer. This could prove important when nesting earwigs are living under thatch or dead grass clippings and coming from the yard. Bifen is long lasting but it will need to be watered in too activate the chemical. First, use a good fertilizer spreader or SCATTER BOX. to distribute the granules over the yard. Apply 1.5 lbs per 1,000 sq/ft of turf. 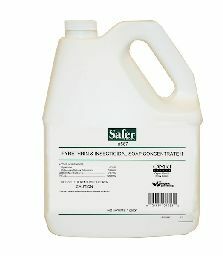 Bifen is safe enough to be spread over pine straw, flower beds, wood chips, any kind of grass and around trees. The granules are fine, like wheat germ, and when applied properly won’t be detectable or easy to see. Once applied, use your garden hose or your irrigation system to get them active. A good rain will also work. Reapply them every 3 months to keep most all perimeter pests in check and out of the yard. Use your lawn fertilize spreader to apply the granules or a good hand held spreader like this one. 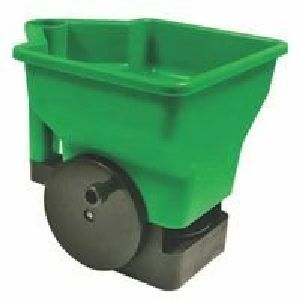 It features a hopper that can hold almost 2 lbs of product and is well suited when treating over flower beds and other tight areas hard to navigate with a push spreader. Found your page about the earwigs to be very helpful and easy to read and understand. Look forward to your website and will recommend it to others. Thanks! I am going nuts with these annoying bugs..I would rather deal with roaches that die instead of these nasty things that drop on you. Gross bugs…HELP ME I WANT TO BURN MY HOUSE DOWN. I have not slept good since this started and its worse..
Do you have a specific question? If you review our article above, you’ll learn that controlling earwigs is easy using the products we have listed in our article so if you want them gone, I suggest you start treating as we suggest. Earwigs are amongst the easier pests to control and one can usually knock them out with just 1-2 applications. Give us a call toll free if you have specific questions but again, this is one pest you can control pretty quick so there is no need to “burn the house down” or take any drastic active for that matter. Hellllllllp! The earwigs are everywhere in the garage by the front door. Its an infestation. I go to the kitchen and they’re on the floor counters mainly @ night. We moved in about 2 months ago. What spray is there to use? I have a 7 month old who is starting to crawl and I’m afraid one will bite her. Start spraying the Esfenvalerate listed above around the homes exterior using a standard pump sprayer. Esfenvalerate can handle most any insect but it’s particularly active on earwigs. Treatments will last 30 days or more and usually just one treatment will knock them out if you use 1-2 gallons of finished spray when treating. For inside the home, treat all the cracks and crevices with either Dforce or Phantom aerosol. 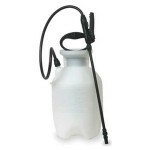 Both come with “straw like” injector tips that enable you to spray where earwigs like to nest. The Dforce has an odor and if you spray any on a tiled or hardwood floor, it can leave a visible “wet” residue that can linger. Alternatively, Phantom goes on dry and is odorless making it ideal for baseboards, tiled floors, hardwoods etc. because you won’t see any residue after it’s applied. 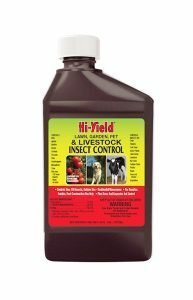 Treating monthly with these products will knock out earwigs quickly and keep them away. How is boric acid at keeping earwigs out of the house? Boric acid is a stomach poison which means target pests must ingest it. Since boric acid doesn’t taste good, it’s not easy to get insects to eat it with any consistency. For this reason it’s not a good product – especially for certain pests like earwigs. But what will control them is listed above. I suggest you get some of the items listed in our article so if you have problems in or around the home, you can knock them out now before their population grows much more. For moderate problems, a good treatment with Esfenvalerate is all you need to do. But if they’re active inside along molding or other areas you can’t easily spray with a liquid, get the Dforce. 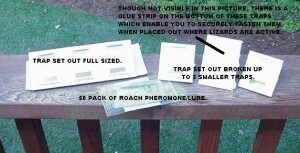 Lastly, set out some Earwig glue traps where you’ve been seeing activity. This way you’ll know for sure if the problem is getting better or worse. Is it safe to use this spray on fruit trees? This terrible bug is eating the leaves and new fruit on my lemon tree. Go with one of the garden safe sprays listed above. The Vegetables Plus would be the strongest option. The 3-in-1 would be the organic spray. Both will work but you’ll get longer protection (less spraying needed) with the Vegetables Plus. When he was young, my husband had an earwig crawl into his ear and get stuck while he slept. The noise it made trying to get out almost drove him mad. His mother tried everything to get it out, but he ended up being driven to the doctor for removal of the thing. The old wives tales have been embroidered and exaggerated, but there is some truth in them. I think some spray will do but I wanted to explain my problem. I live in a basement apt and I see around 4-7 earwigs a day, always in the same rooms (both bedrooms and living room) . I sprayed all corners and edges a month ago but the problem still exists. However, this is the 1st summer in 3 years that the problem isn’t out of hand (I used to see up to 20 a day previous summers) what would be best to use and what makes this spray better than the one I used? First, what we sell is what professional pest control companies use these products will not be found at retail outlets or garden centers. In other words, the products recommended above are pretty much the best actives around designed to work in all kinds of surfaces, the toughest pests and to last the longest. Second, retail formulations are commonly a lot more dilute, short lived and marginal in their performance at best. This doesn’t mean they won’t work; it just means for “less cost per finished gallon of spray”, using our products will enable you to achieve far better results with the same amount of effort. Third, using our products insure you have the right % of active ingredient being applied when you treat. This is because our products are highly concentrated with only an ounce or two needed to make a gallon of mixed solution. That means you save big time on “cost per gallon” plus you have the added benefit knowing the product you’re applying is fresh when applied. This is because you’ll be making every gallon right when you need it. Conversely, “ready to use” mixed sprays found on the shelves of big box retailers are products that have been “pre mixed”, diluted and then pumped full of nasty additives designed to “stabilize” the formulation so it can maintain it’s strength for extended periods of time. Unfortunately this concept doesn’t work well in the real world since one of the problems with pre mixed sprays is that the active starts breaking down right after it’s mixed due to many factors. This means by the time you purchase the product, there is no way the active is at it’s full strength anymore. In fact, what you’re applying is no doubt significantly weaker than it should be and in the long run, this will cause all kinds of problems as it relates to doing pest control. In summary, if you’re willing to take the time to do your own pest control, why not use what the professionals use? And since these product cost less to apply compared to what you’ve been using, there is no logical reason to choose anything else. As for your current situation; two thoughts. I too believe that most earwig problems can be controlled with nothing but the spray. But to completely control the problem (meaning if you want to knock it out for longer periods of time), go after them where they’re nesting. This is no doubt around the homes exterior and in some cases in the local wall voids, window frames, door frames, etc. of the homes interior. And to accomplish this goal, you’ll need to change your focus from baseboards only to the homes exterior on the outside and the cracks and crevices of your apartment on the inside. So with that being said, I’m certain a combination of the Esfenvalerate concentrate (for spraying the exterior and baseboards) along with the Dforce Aerosol (for inside cracks and crevices) will prove way more effective in controlling your earwigs and any other insect pest you might encounter. Oh, and I’m fairly sure this “problem” is only starting. You see, we’ve noticed most insects are a good 5-7 weeks behind this year due to the excessive rain and cooler temps we had across the country this spring. For this reason, insect pests seem to be “late” so even though your problem has been “less” so far this year, I suspect it will be getting worse as the summer heat enables all the moisture we’ve accumulate to breed insect populations including earwigs. Will any of these products harm our dog and cats? Give us a call toll free if this doesn’t answer your questions well enough; it’s 1-800-877-7290.